Ramis Health & Fitness in Westcliff near Southend. The elite personal training studio that could transform your body – and your life – for good. What is Ramis Health & Fitness? Established in 2005, Ramis Health & Fitness is a private, one-to-one facility offering high quality personal training. It caters for individuals whom are serious about reaching their health and fitness goals, and feel they are ready to benefit from expert help and advice. 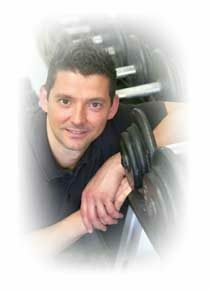 Clients are helped and guided by Cris Ramis, an advanced personal trainer, to reach their training goals. This personal service in a one-to-one environment offers a flexible approach to clients’ individual health and fitness needs. Cris’ techniques utilise the highest standard of personal training which, when coupled with the right attitude from the client, offers them an excellent chance of achieving their goals. Ramis Health & Fitness is ideally situated for anyone who lives in and around Southend and who doesn’t want to have to travel too far. In the initial meeting with Cris, he establishes exactly what the client wants to achieve at Phoenix Health & Fitness, agrees achievable targets and realistic goals, illustrates the level of commitment required to achieve them and discuss potential barriers to their success. Clients’ progress is monitored throughout the training programme to ensure it is working, and to help keep them on track. What can Ramis Health & Fitness do for you? If you wish to become slimmer, healthier, fitter, leaner, more toned, more muscular or better at your chosen sport, then Ramis Health & Fitness can help you. In short, anyone with a desire to lead a healthier and fitter lifestyle will benefit from training with Cris. Current clients in the Southend and surrounding area include men and women of all ages (including grandmothers and teenagers) wanting to drop fat, tone and build muscle, improve health and fitness and develop good lifestyle habits. From clients who don’t wish to train in a gym or health club, to those who are already gym-members but want that little bit extra, Ramis Health & Fitness Personal Training offers a complete personal training service that can be tailored to suit your needs. Whatever your reasons and regardless of your current state of health and training experience, Ramis Health & Fitness personal training can teach and motivate you to achieve the results you desire. Pay for what you get. There are no memberships or joining fees. You only pay for your personal training session. Mineral water is complementary. Call or visit for a free consultation.